Rodrigo and his friends are bored teenagers living in Medellin. Rodrigo wants to start a punk band. The youths mainly loaf around the hillside shanty towns and, for kicks, steal a bike or car, or shoot someone. Chronicle of life in a typical Colombian village where residents and visitors alike are induced by the soporific climate to lead lives of indolence. Not even the sight of cadavers floating in the river can shock them. Love drives two young lovers from Medellin, Colombia to seek fortune in New York City, only to find a harsh reality that will put to test their true love for one another. Based on the Mario Mendoza's book and inspired by true events, tells three interconnected stories happening in the eve of the infamous Pozzetto Massacre. A wonderful country full of amazing creatures in America called Colombia , seen as never before, accompanied by incredible shots , make it a must-see place for adventurers and wildlife lovers this natural paradise. A psychedelic multiple-storyline around a disco called "El Colombian Dream". 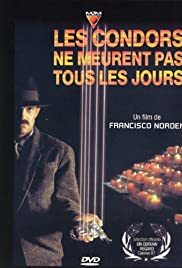 The definitive film about "La Violencia"
Loosely translated as `Condors are not buried every day', Cóndores is by far the best Colombian film about political violence in the fifties. Colombian star Frank Ramírez masterly portrays León María Lozano, `El Cóndor', a conservative party member that becomes a ruthless killer of political opponents. Based on the bestseller novel from Gustavo Alvarez Gardeazábal.